Emma Gonzalez, a senior who survived Wednesday's shooting at Marjory Stoneman Douglas High School, talks with people at North Community Park in Parkland, Fla., Sunday, Feb. 18, 2018. 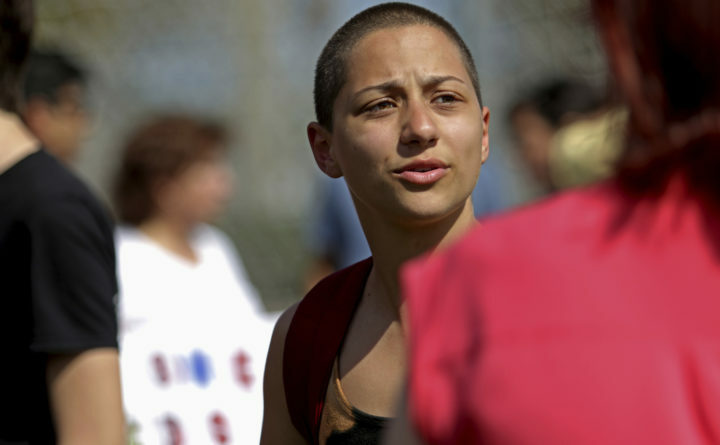 Gonzalez is one of the students who escaped the deadly school shooting and focused their anger Sunday at President Donald Trump, contending that his response to the attack has been needlessly divisive. Maine House candidate Leslie Gibson of Sabattus called Gonzalez a "skinhead lesbian" on Twitter. A Democratic organizer in Greene says, “That sort of stupidity really turns people off.” Organizer Pat Fogg says she wishes she knew someone else who could jump into the race and challenge Gibson.